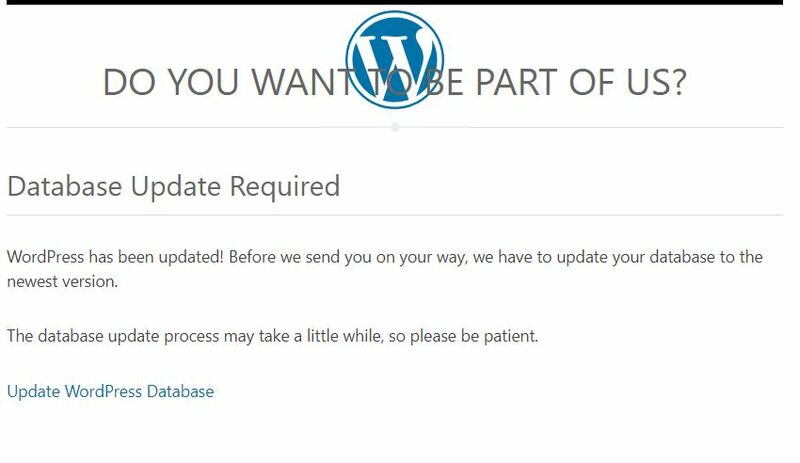 How To Fix WordPress custom plugin problems which shows - "Database Update Required" - Even though the plugin works fine. I have attached an image of the error/warning message. The code-snipet includes all the source-code from the plugin. I don't know how to remove the error/warning message. * Description: This plugin will create a simple HTML-form with 3 input fields and store the information into a stage table. #Useful for creating new tables and updating existing tables to a new structure. The problem I see here is that you are checking to create the table EVERY SINGLE TIME a page with the shortcode on it is run. When you create the table, you include the upgrade.php which will show the message you describe. What you need to do is break off the piece that creates the table (including the call to upgrade.php) and add that to your activate plugin piece instead. You should only need to check and create that table once. Don't forget to remove the table (and anything else you add in) on plugin uninstall.